The Track Academy family comprises Former International Athletes and Coaches, Mentors, Teachers, Business Professionals and a number of highly motivated and passionate Volunteers. We are also Mothers, Fathers, Brothers, Sisters, relatives and friends who play our part in making the community the best it can be. What makes us an integral part of the Track Academy family is a shared common belief. And that is that ‘Sport and education’ are a match made in heaven, and when combined, changes lives. Sport and education empower individuals to achieve outstanding—and more importantly—sustainable outcomes. We know this, because for some of us, it has been our story as well. 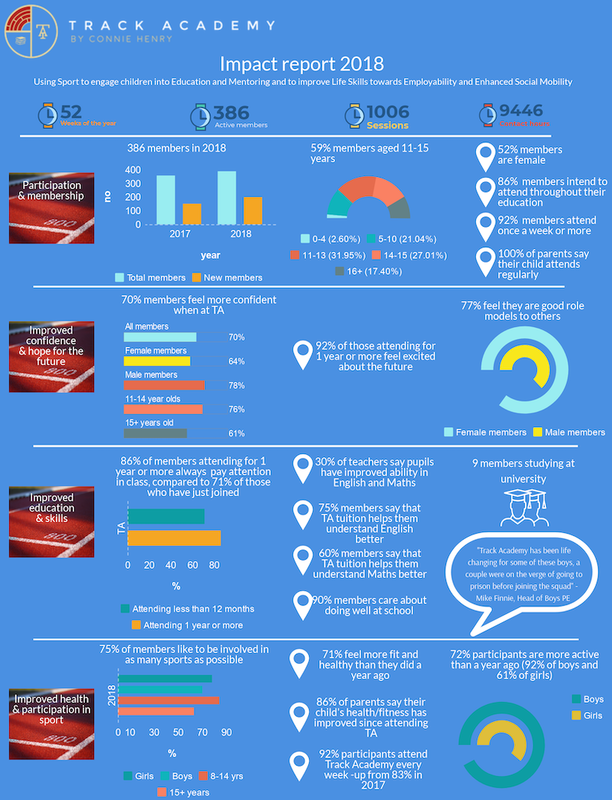 To gain a deeper understand of our work please feel free to read our 2018 Annual Report by clicking the image below. You may also wish to view previous reports, which have been made available on a separate tab on this page. 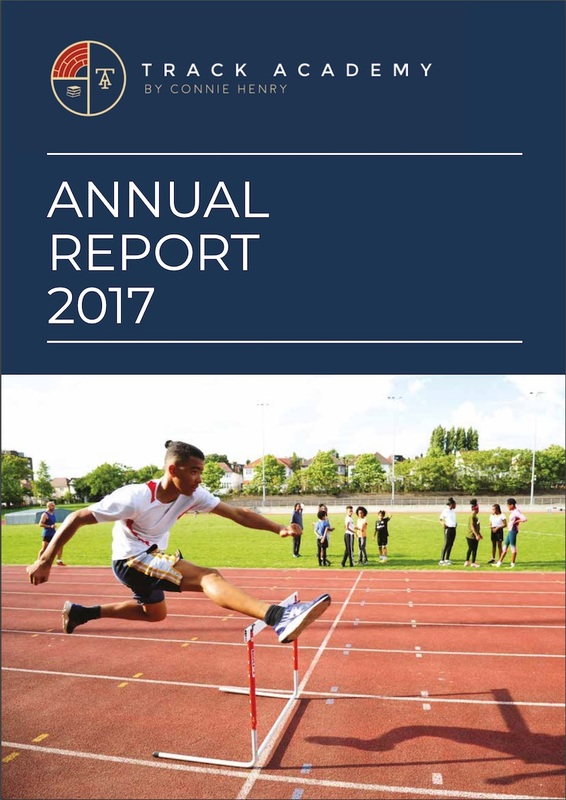 Track Academy helps disadvantaged young people in London realise they are more than the circumstances they are born into, by supporting them to fulfil their true potential and develop as positive members of their community. We currently help 380 young people in Brent and beyond. 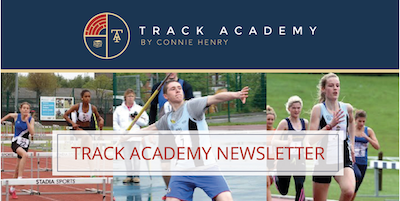 At Track Academy we provide an environment in which young people, build confidence, acquire new skill sets, affirm self-value, support each other, plan their future, positively address inequality, gain a sense of belonging and become role models. Track Academy effectively—with the young persons buy in— establish pathways to build faith in their ability to positively affect their own lives. Our aim is to increase participants’ academic performance, personal growth strategies, as well as their employment opportunities and physical health and wellbeing. 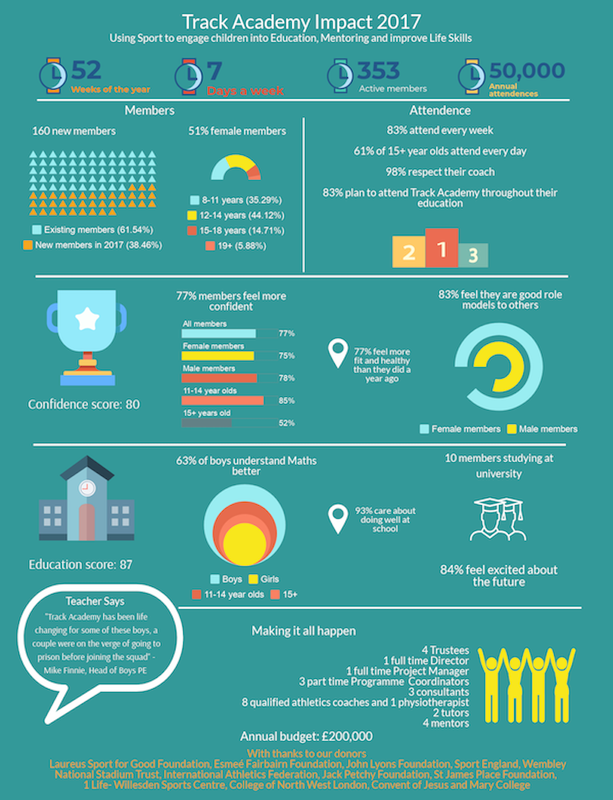 With a firm understanding of issues such as truancy, antisocial behaviour, poor discipline, poor concentration and obesity, the Track Academy Team have a proven record in delivery and are well placed to continue delivering these desirable outcomes, for the foreseeable future. Over 350 young people make more than 50,000 visits to our sessions each each year. 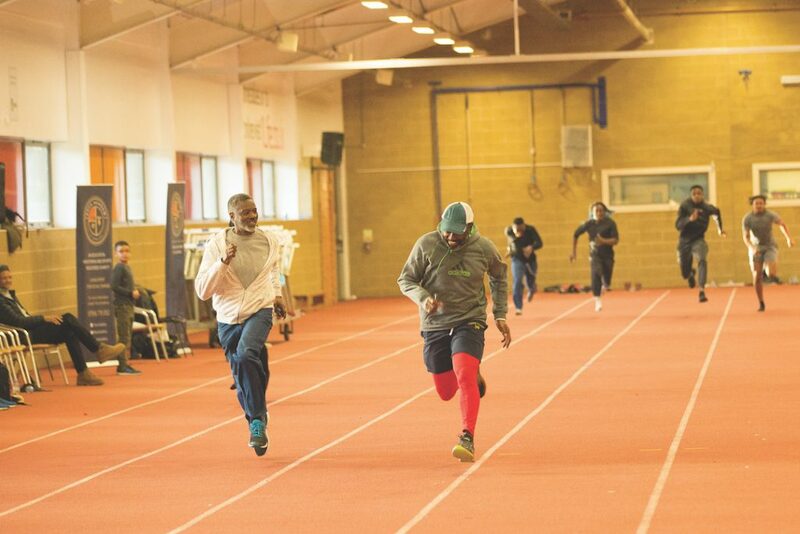 Track Academy helps disadvantaged young people in London realise they are more than the circumstances they are born into, by supporting them to fulfil their true potential and develop as positive members of their community. 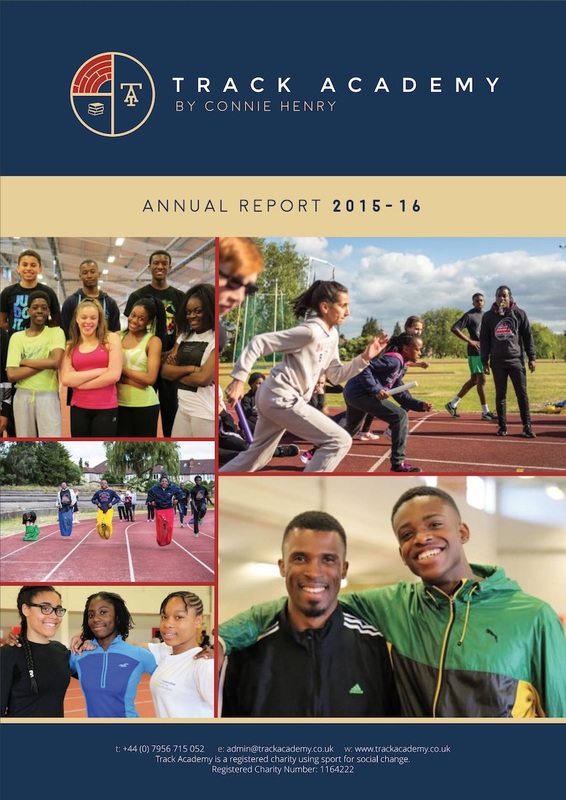 We currently help 380 young people in Brent and beyond. 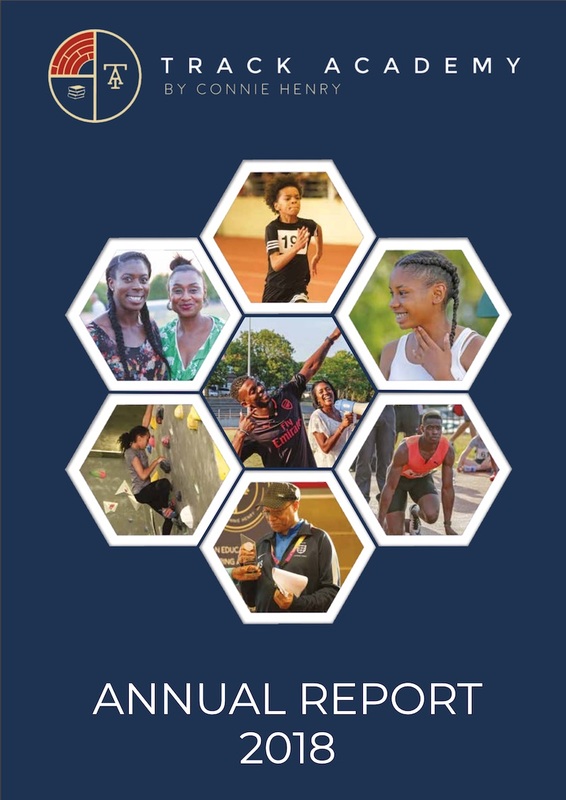 At Track Academy we provide an environment in which young people, build confidence, acquire new skill sets, affirm self-value, support each other, plan their future, positively address inequality, gain a sense of belonging and become role models. Proven Record Track Academy effectively—with the young persons buy in— establish pathways to build faith in their ability to positively affect their own lives. Our aim is to increase participants’ academic performance, personal growth strategies, as well as their employment opportunities and physical health and fitness. With a firm understanding of issues such as truancy, antisocial behaviour, poor discipline, poor concentration and obesity, the Track Academy Team have a proven record in delivery and are well placed to continue delivering these desirable outcomes, for the foreseeable future. Please Click on the report you wish to view and you will be able to view in a separate window or download. 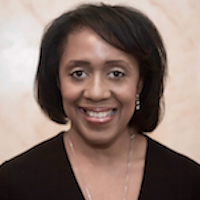 Sport for Social Change Consultant, Connie Henry, became an athlete at the age of 15 when she walked onto the track at Willesden Sports Centre. Eleven years later in 1998, she was standing on the rostrum at a major Championships in Athletics, the Commonwealth Games. Subsequently, no longer an athlete, Connie was commentating on the 2005 World Athletics Championships Live on IAAF Radio. Fast forward another six years and Connie was launching Track Academy, her very own Sport for Social Change Charity, alongside prominent names in international sport – designed to provide a unique blend of Sport, Education and Mentoring opportunities to disadvantaged youth in London. Connie says, “At Track Academy, we help young minds believe they are more than the circumstances into which they are born. Our core aim is to create positive leaders of tomorrow, academic achievers and if we happen to create an Olympian along the way, that would be a positive by-product of our efforts”. Connie’s vision has been for Track Academy to create a system capable of creating extraordinary young people – young people who will become social leaders, extraordinary mentors and responsible individuals and maybe, just maybe, Track Academy will be able to create an Olympian or two, along the way, though that is simply not the overriding concern of all involved. All young people attending Track Academy have the opportunity to be coached in Athletics and Multi Skills. You don’t need to be especially talented when it comes to athletics. You just need to want to have some fun! Born in Newham on 16 November 1961, Clarence Callender combined his passion for athletics with a military career. His talent and dedication resulted in a silver medal at the Seoul 1988 Olympics in the 4×100 metres relay. Apart from his Olympic achievement, he also won medals in the 4×100 metres at the Commonwealth Games, a silver medal in 1986 and a gold medal in 1990. Clarence is Head Coach at Track Academy and is working with the elite squad. Coach Clarence also works with one of the Governing Bodies of British Athletics imparting his great knowledge on other coaches up and down the country. We are very proud of him and all he has achieved and continues to achieve on behalf of English Athletics and Track Academy. Nigel Small played as a semi-pro footballer and coaches for Queens Park Rangers as well as 1st team coach for the Royal Holloway University. He has been coaching athletics for the past 17 years and has been very lucky to work with some very talented young athletes that have gone on to win County, National and English Schools Championships. Nigel has coached athletes that went on to gain under 23 Great Britain vests. Nigel now specialises in sprinting and jumps. Tony Jarrett is a former hurdling Olympian. He was a silver medallist in the 110 metres hurdles at the IAAF World Championships in Athletics in 1993 and 1995, and at the European Athletics Championships in 1990 and won the gold medal in the event at the Commonwealth Games in 1998. He is Track Academy’s residential hurdles coach. Susan is a UK Athletics Level 2 Throws Coach for Shotput, Discus, Hammer and Javelin, coaching athletes from complete beginners to experienced throwers. Susan is also a qualified Athletics tutor. Having been raised in Wolverhampton, Jade moved to London to study Sports Rehabilitation & Injury Prevention at Middlesex University; graduating in 2008. She completed professional practice placements at the London Marathon Show, BUCS, and Lee Valley Athletics Centre of Excellence. She has since provided private treatment for many athletes in and around Team GB, including the 2008 400m Olympic Gold Medallist, Christine Ohuruogu. She has been linked with Track Academy at Willesden Sports Centre since July 2010 and has found it more than rewarding aiding these young men and women towards fitness, functionality, and their life goals. Zoe Robson is our multi-skills coordinator and development group coach. She is a qualified Level 2 Multi-skills and Licenced UKA Coach. Zoe is currently completing an internship with Track Academy whilst studying BSc Sport, Health and Exercise Sciences (Human Performance) at Brunel University. Zoe has a passion for developing children’s fundamentals: agility, balance and coordination, so they can strive to become successful athletes. Jimmy Thoronka is a track and field athlete and in his career he has participated in a number of championships which include the Youth Olympic Games in Singapore, Youth Commonwealth Games in the Isle of Man, African Championship in Burkina Faso, ECOWAS games in Ghana, and the 2014 Glasgow Commonwealth Games. He particularly enjoys coaching young children and teenagers and wants to be a positive role model to them. “During the time I have been by working with Track Academy in North-West London, it has really inspired me to contribute towards improving the sports experience available to the local community, by helping the athletes reach their goals and learn about how they can cope with the challenges in their lives”. He is still competing as an athlete and his personal aim is to become more competitive and to do so by attaining a high level of well-being and good health which would enable him to achieve his end goal of running a championship time in 100m and 200m. “I have been a Track Academy athlete for 7 years now, since joining track academy I have gained various qualifications such as sports leadership, fitness instructor L2, personal trainer L3 and I have recently completed a course to gain an athletics coach L1 qualification”. “What got me involved in track academy was not just my sheer love for sports but meeting new friends made me closer to the organisation. Track Academy helped me progress on the track by winning medals and the Middlesex indoor and outdoor championships. Track academy also held maths classes before training sessions helped me to pass maths at GCSE level. My main aim I am focused on right now is completing my final year of university and doing my best and graduating with the best grades possible and hopefully excelling on the track in the near future”. “I am a coach at Track Academy who has a Level 1 qualification (via Game Changers) working towards my Level 2 coaching qualification. I am also an Athlete competing for Great Britain. I have been to the Gold Coast Commonwealth Games in 2018 which I became a 100m finalist”. Tayla Brade is a qualified coaching assistant and Track Academy Alumni. From the age of 15 she competed at a national level becoming a multiple County, South of England, National and English Schools medallist. She is currently studying Journalism BA Hons at The University of Arts London and wants to give back to Track Academy through coaching and mentoring. Chris has completed a level 2 qualification in sports science and is currently studying for a level 3. He has also gained a NPLQ Lifeguarding qualification and game changers level 1 athletics coaching qualification. He has a passion for sports and coaching,” Track Academy has given me the opportunity to do the things I enjoy and be able to pass on my knowledge and experience to the next generation”. My aim is to develop my own coaching skills through a level 2 course. Lumar is a national Level athlete with about 8 years of experience as an athletics sprint coach. He a is a county champion, south of England champion and a national finalist. He has also gone onto training with one of Team USA’s top sprints Coach Bob Kersee who is responsible for coach athletes such as Flo Jo, Gail Devers, Allyson Felix, Shawn Crawford, Dawn Harper and many more Olympians. Jonathan Studied Sports Health and Exercise Sciences as an undergraduate at Brunel University and have a background in Athletics, competing in sprint disciplines for both club and University. “This has given me a sound theoretical and practical foundation upon which to develop, I am currently completing my level 2 athletics coach qualification and plan on working with senior coaches to continue to develop”.